MEMS stands for MicroElectroMechanical Systems. MEMS are also called Micromachines. MEMS are microscopic mechanical systems. They have feature sizes as small as one micron. They are built using the same techniques used to create integrated circuits, or computer chips. They are built on silicon wafers in microelectronic manufacturing facilities. The devices are created by depositing thin films on the wafer, using photolithography to pattern the films, and then reactive ion etching to etch the pattern into the films. By repeating these steps many different times, complex, functioning machines can be built. MEMS are used in a variety of applications in industry. They are used to detect that your car has crashed, and then fire the airbag. They are used in ink jet printers to create the small droplets of ink that are sprayed onto the paper. 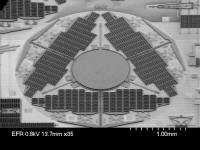 MEMS is an emerging technology, which is finding new applications each day. 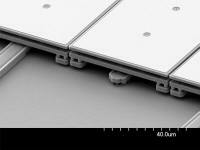 MEMS devices are an important component of Nanotechnology. 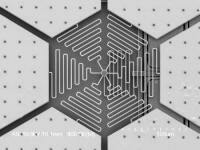 Microscopic Positionable Mirror Created with MEMS. Spring is 1.5 micron in size. 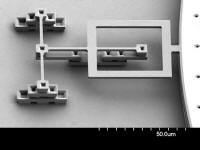 MEMS micromirror used for telecommunications. 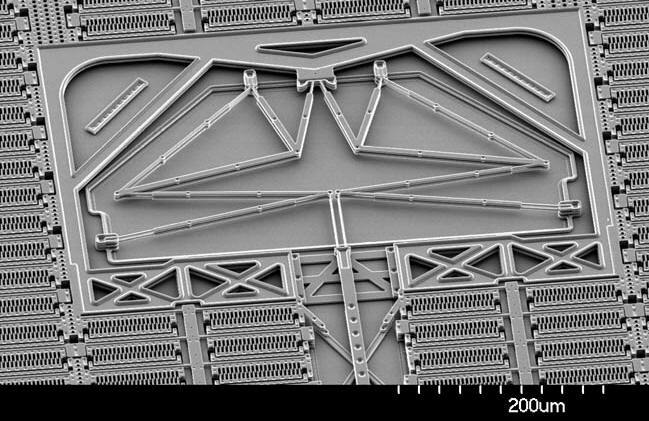 Microscopic MEMS Hinge, Used to Anchor a Mirror to Substrate. Crossbar is 1.5 micron across.